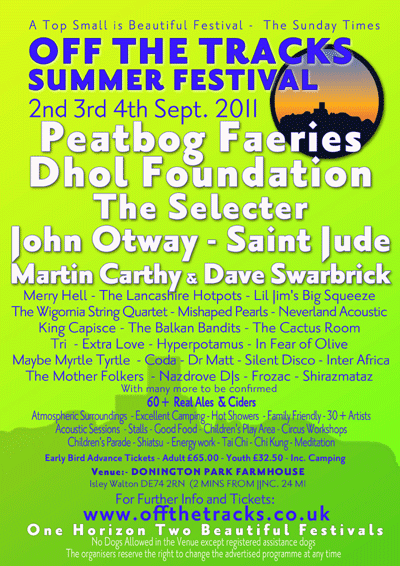 We are delighted with bells on to have won the prestigious Folking.com Best Band Award for a second time!! Thanks to all who helped make it so. Here are some reviews and notable mentions of our new acoustic album Anthems to the Wind. Got to love this review from those thoroughly decent chaps at Folk Radio UK. We are very happy to share a lovely, thoughtful and insightful review of Anthems to the Wind - this time courtesy of the 'From the Margins' website. No money changed hands to obtain this review - but when we see the writer he will be greeted with a broad smile and a firm handshake of gratitude! Here's Fatea Magazine's review of Anthems to the Wind. As ever, thanks to all at that fine publication and in particular to David Pratt for his wonderful review! Enjoy, we certainly did! Here's a lovely review of Anthems to the Wind from Jez Denton, Radio Bicester broadcaster and Tarka Blowpig website supremo! Cheers Jez and look forward to seeing you at a gig soon. We were delighted to be told that 'Drunken Serenade' will be Record of the Week on Lionheart Radio. Broadcasting to the beautiful county of Northumberland, the station can also be heard via the web at https://www.lionheartradio.com/ Many thanks to all concerned! Thanks to our friend and man of taste and discerning musical taste Dave Watkins of Always On Sunday for making Anthems to the Wind his album of the Week! Delighted that our friend Jem from Glastonbury fm has made Anthems to the Wind his album of the week on his World Beat show. We enjoyed meeting him at our gig in Wiveliscombe earlier this year and look forwrd to bumping into him again. Just trying to think where they might have a festival in his part of the world that we might enjoy playing! We are delighted to be Album of the Week on www.bluesandrootsradio.com look out for the hour long special featuring an interview!! Delighted that our friend Liz Franklin has made Anthems the Wind her album of the Week on her EdenFM Show. Plenty other great music as well. Thanks Liz! Delighted that our friend @Roger Pettit has decided to make Anthems to the Wind the featured album on his Roots and Shoots with Roger Pettit on Felixstowe Radio show this very night - he's been with us pretty much since the start - and our gratitude continues to increase! Big thanks to Alternative Roots on BrumRadio.com where your host and ours Mike Davies has been kind enough to make Anthems to the Wind his featured album. Delighted that Anthems to the Wind will be the Album of the Week on Gary Hazlehurst’s Radio Nova Folk Show. Much appreciate!! Oh and not to mention the Album of the Year nomination!! In the year that keeps on giving! Blues and Roots Radio have included ‘Anthems to the Wind’ in their nominations for Album of the Year. The station brings together over 50 broadcasters and their shows from around the World, featuring shows from Canada, The USA, Australia, The UK & Ireland and several other European countries. We are delighted to be included and feel that everyone on the list is already a winner! Have a listen and get to know some great music! Our very own bouzouki wielding songsmith, Bob Kettle, is running a songwriting workshop at Wigans Old Courts. Whether you are a total beginner or an experienced musician, this workshop is for anyone with an interest in song writing and music. Guided by Bob Kettle (of Merry Hell fame), we will produce an original song entirely based the ideas and suggestions of our group. Explore the basics of creating rhythm, melody and lyrics in a friendly, supportive and encouraging environment. Lean how to ‘build’ and develop songs as a group and as an individual, receive hints and trips on how to use different musical instruments. We've only gone and won 2 of the things! BEST BAND and BEST LIVE ACT in the hugely respected Folking.com Awards. We haven't prepared a speech but we'd like to thank our Mums and Dads, all those of you who voted for us and those lovely folk at Folking.com who nominated us in the first place (which is where the honour lies). We can honestly say that it's put a spring in our strides, a twinkle in our eyes and a flutter in our hearts. Make Merry Hell with the Kettles! 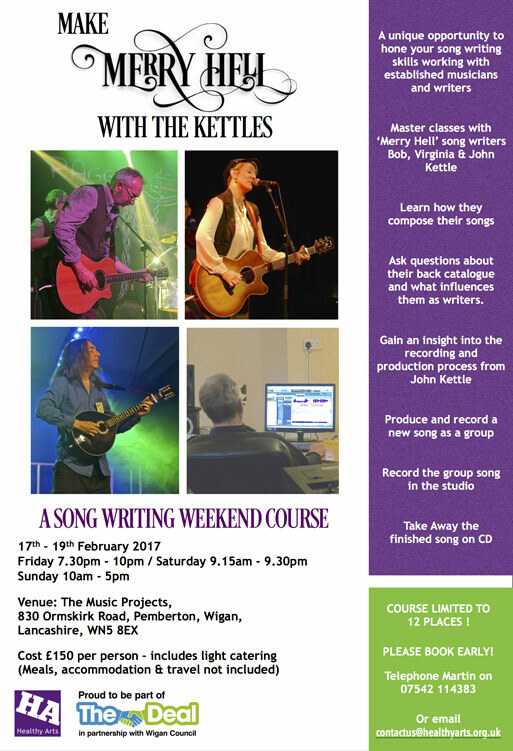 Merry Hell have joined forces with Healthy Arts and The Music Projects to offer a Songwriting course with Bob, Virginia and John Kettle in Wigan. Spend the weekend with three of Merry Hell’s songwriters learning how they write their songs and working creatively with them to produce and record a new and original song. On the Friday night, you will hear Bob, Virginia and John each explain the writing process behind their own Merry Hell song, then have the opportunity to ask them questions about any of their back catalogue. 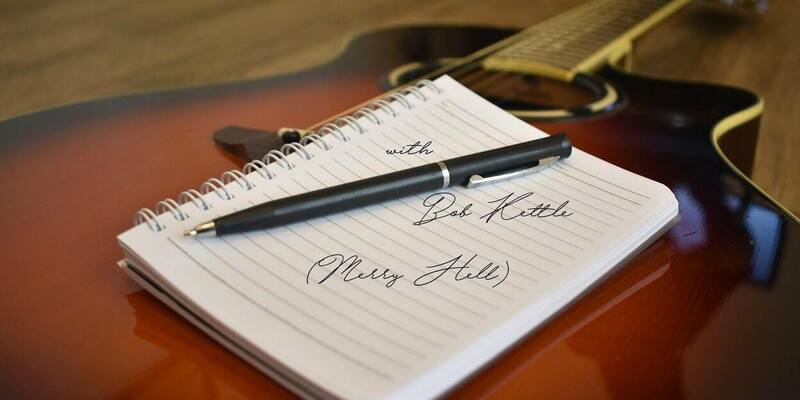 On Saturday, you will have a ten minute consultation with either Bob or Virginia about your own song ideas (submitted before the weekend) and receive individual personal and written feedback. You will then spend the rest of the day writing a group song (maximum of 6 people) with either Bob or Virginia before spending the evening with John Kettle in his Studio, where Merry Hell’s latest CD ‘Bloodlines’ was created, to learn how he produces Merry Hell’s music. On Sunday, you will return to the studio to record your group’s song with John and either Bob or Virginia. This will later be produced and mastered by John Kettle and a copy sent to you online and/or by post. Please contact Martin Green, Healthy Arts Project Manager on 07542 114383 or email contactus@healthyarts.org – Payment of £150 will be arranged via cheque or BACS transfer. The course is limited to 12 places maximum. Booking & Cancellation Policy – The deadline for booking is 31st January or whenever the course is full, whichever is sooner. If we do not get 10 participants, the course will not go ahead and you will be refunded in full. However, if the participant cancels after this date, no refunds are available. Suitable meal breaks are built into the weekend. Light refreshments (tea, coffee, biscuits) will be provided. Accommodation, transport & meals are the responsibility of the participant and are not included in the price. There are several pubs, shops & eateries in the immediate vicinity of the venue, catering to all tastes. These include The Mount Pub and The Stag Inn, both nearby on Orrell Road. ALSO CHECK OUT THE TRAVELODGE WEBSITES - SOME CHEAP DEALS AT PRESENT!! 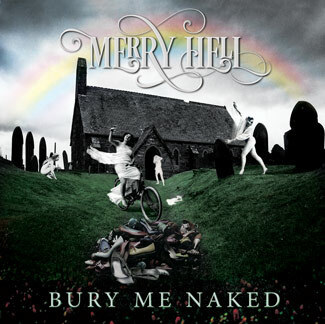 'We Need Each Other Now' - the new song from Merry Hell - a song for our times. This video was put together bysongwriter/ musician and broadcaster George Papavgeris after he received a promotional copy of the song. Not only was he moved to make the video but you can also see George and his band playing a version of the song a mere 2 days after first hearing it! We hope you like the song and if you do and agree with the message, please feel free to share. It's from our new album 'Bloodlines' which will be out in October. DELIGHTED and PROUD that 'Loving The Skin You're In' has been chosen as the Song Of Wigan Pride. Merry Hell have only gone and been nominated for another award. Those fine folk at Folking.com have included the band in the Best Group category for the Folkies Awards, alongside some of the cream of the UK folk scene. This time it's a public vote, so anyone who wants to, please follow this link and vote Merry Hell. You know it makes sense (you have to go through the different categories to get to the Best Group!). Come and join "Merry Hell", "Grateful Fred" and "The Good Intentions" for this acoustic concert in the lovely surroundings of The Nordic Church. 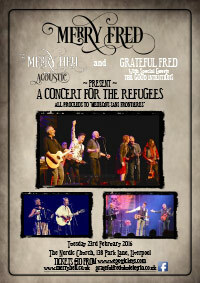 ALL proceeds will be donated to "Medicins Sans Frontiere" to help with their amazing work worldwide assisting refugees. There will be raffles, food, "Merry Fred Ale" and refreshments. Or bring your own. (Subject to £1 corkage). Concert doors open at 7.30pm but please come earlier to enjoy refreshments. The Nordic Church cafe' will be open well before the concert. It was absolutely fantastic to win the Fatea Award for best group/duo yesterday - particularly given that a couple of years ago we were delighted to have been chosen as first support to Bellowhead and now being nominated in the same category as them is almost unbelievable. However, what has been particularly wonderful has been the response from our friends/fans who appear to have shared our delight who have been so quick to 'like' and 'share' our good news on Facebook. It all adds to our feeling that things are happening for Merry Hell and that this is because what we do actually strikes a real chord with the people who listen to our music and come to our gigs. Thanks again and onwards into 2016. 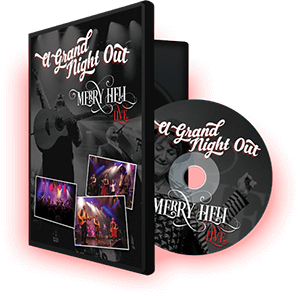 To celebrate the winning the best group category of the Fatea Awards and STARTING THE RECORDING OF THE NEXT ALBUM we are giving you the oppertunity to win a very rare Promo Cd of 4 tracks from the live DVD! Click here to find out how to enter. I'll be hosting 4 song writing 'workshops' on Saturdays 13th, 20th, 27th, Feb and 5th March. No previous musical experience is necessary – but if participants want to bring their instruments and ideas, that'll be welcomed. We'll be working in a group format. I'll demonstrate a method of writing a song which will be totally based on the group's own contributions. You'll then be able to use that technique to help with your own compositions in future. studio on Sunday 6th March (I'll also be there for that session). I'll look forward to working with you. It should be fun. Delighted that 'Ghost...' Has been nominated for an award as 'Best Album by a band' for 2015 by Folkwords. If you look at the calibre of the nominees you can see we are in with some big shots as well! Nice to see some of our friends in there as well - Daria Kulesh and Ange Hardy - though obviously not in the same category as us of course - them not being bands and all! Good luck to all concerned but we will have our fingers crossed! If you haven't yet seen the acousticish line up of the band then here's a review that will give you a good idea of what to expect. Why not share it with someone involved in the booking at your local folk club, Arts Centre or venue - remember people invvolved in organising gigs are always beng contacted by bands saying how great they are - but it comes as a breath of fresh air when people who attend the club or venue suggest that they book an artist as it makes them more confident about making a booking and that people will come!! The same is true of festival organisers! As you will hopefully know by now, our gig at The Grand, Clitheroe on Feb 28th, was filmed for a live DVD. The DVD is available to order on our shop now. With some exciting news about the release of our new album 'The Ghost in Our House and Other Stories', the upcoming live DVD filming at The Grand, a peice from our mandolin maestro Bob, tour news and much more. This is a fabulous community of Folk musicians who are coming together to mark the 100th Anniversary of World War 1. We will be releasing a 'Perfect Day' style version of Pete Seeger's anti-war classic, 'Where Have All The Flowers Gone? ', on Sunday 9th November - the week of The Armistice. The song will be available as a download, CD single and a limited edition vinyl 7". Andrew and Virginia will feature alongside some of the UK Folk world's most distinctive voices and alongside a number of international allies. The musical backing for the track will be supplied by the band. Please visit the Armistice Pals Facebook Page and 'like' it to make sure that you are kept up with developments - and have a look at the website at www.armisticepals.co.uk to see the incredible line up that we will be part of. If the Armistice Pals were a festival, it would be the best line up of the year! The project is not a celebration of war; it is a marking of the start of what was supposed to be 'the war to end all wars' and the senseless slaughter that followed, with its devastating affect on both the loved ones and communities which the soldiers left behind, all too often not to return As this is is a community project, there will be Armistice Pals events across the country in the week of the release of the song and we invite people to look for ways to get involved. Some kind words from folk legend Mike Harding after our gig at the Beverley Folk Festival. "Personal highlights for me were seeing The Whiskey Dogs and Merry Hell live. The Whiskey Dogs were the essence of Old Timey music - they swung, they really did. Had a bit of a play with them afterwards in the bar - grand stuff. And Merry Hell? Well they were magnifico! Songs from the CD like Bury Me Naked and Loving the skin - but several songs that were new to me - one (I think it was called Roxanne or Rosanne [Rosanna's Song] about walking in the hills with your lover and another – That's The Way The Money Goes (I think that was its name anyway) [The Crooked Man]. Their banter on stage was great and the musicianship was tops. If they aren't headlining some major festivals next year I'll eat your hat as well as my own." A nice interview with the band by Peter Cowley of Fatea. Click here to read. A big thank you to Mike Harding for playing a track off the new album on the Mike Harding Folk Show. Click here to listen to the shows podcast. A cracking review of 'Head Full of Magic, Shoes Full of Rain' from our good friend Paul Ariss at Louder than War. A must read! Here's a great review of 'Head Full of Magic, Shoes Full of Rain' from the excellent FATEA online magazine - Thanks to David Kidman Fatea Showcases. MERRY HELL NOMINATED FOR BEST BAND AWARD! Merry Hell are pleased to annouce that they have been nominated for best group in the Spiral Earth's - Spiral Awards 2012. 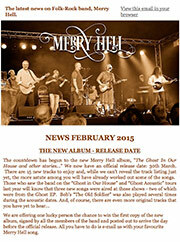 Merry Hell will be featured on Hermitage FM's Folk Show on Thursday 26th January. Presenter John Legrys did an interview with the band at the Birmingham gig and the interview can be heard here. Just a couple of days left to hear the best of 2011 radio programme presented on several BBC regional stations by musician and poet Johnny Coppin. Can you guess which band and which album has been included? I know that we included a tour of british columbia amongst our wishlist for the future but this is a link to a review by Cal Koat a broadcaster and writer in British Columbia. He has playlisted Drunken Serenade, One More Day, This Time, The Gentle Man and his favorite, Lean On Me Love for airplay on Celt In A Twist radio, AM 1470, CJVB in Vancouver. Podcasts are available. There are fabulous reviews of the album in fRoots magazine, Folk North West magazine and online at Folk & Roots - thanks to Simon Jones, Pete Fyfe and David Kidman respectively. We would love to share the reviews online but as these magazines are well worth the read then people really should get their own copy!!! Merry Hell recorded live in the Roots & Fusion studio recently - the session will be included in this Wednesday's show. You can now listen to the podcast of the show if you missed it Click here to listen. 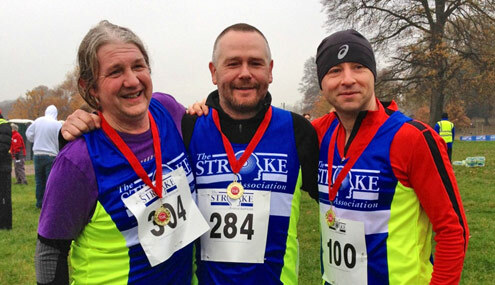 Band Members from Merry Hell ran together to raise money for the Stroke Association and are seeking your sponsorship, please donate whatever you can to help in our quest. Every five minutes someone in the UK has a stroke. A stroke does not discriminate. It can happen to anyone at anytime in their life. Strokes are sudden and their consequences can be devastating. The Stroke Association is the only charity solely concerned with helping everyone affected across the UK. Our vision is to have a world where there are fewer strokes and all those touched by stroke get the help they need. The Stroke Association can only provide life-changing support and research with your help. Please help support The Stroke Association's vital work by sponsoring me online. Just visit fundraising.stroke.org.uk/MerryHell. All donations are secure and sent directly to The Stroke Association. If you are a UK taxpayer, The Stroke Association will reclaim 28 pence for every pound you donate, through Gift Aid (at no extra cost to you). This way your donation is worth even more. Make sure you click the Gift Aid box. Merry Hell will be playing another radio session on Monday 17th October with Ali O'Brien on Oldham Community Radios Sounds of Folk show. We are pleased to announce that Merry Hell will be featured in the new edition of R2 magazine, the UK's best selling eclectic music magazine out September 12th. Over the Border will also appear on the cover cd. Another live radio acoustic set will be on Chorley FM's Folk Show with James Blatchley on Tuesday 27th September at 8pm. Merry Hell will be playing an acoustic set on Simon Jones Moorlands Roots Radio Show on 2nd October at 7pm. 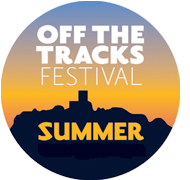 After enjoying the experience of Haigh Fest, we have well and truly got the festival bug again and so are really pleased to be confirmed for Off The Tracks at Donington Park. 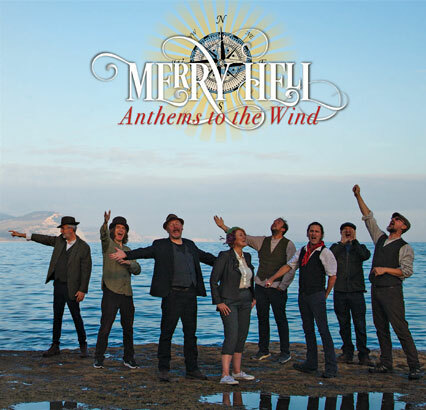 Widely regarded as one of the best festivals out there - so good that they have a Spring and a Summer Festival, Merry Hell will be appearing on Saturday 3rd September. 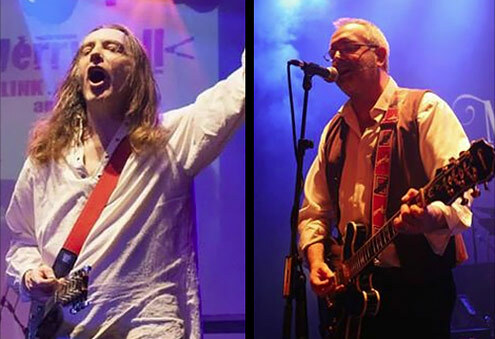 As we will be performing in the late afternoon we will get time to see some of the other bands appearing, ranging for the legendary to the intriguing - so have look at the line up and decide which is which! The gig is held outside Haigh Hall in Wigan and features 12 bands with Merry Hell the last band on stage at around 7:20pm. The band were delighted to be selected to play as it was one of our main ambitions for our first year.